When the Great East Japan Earthquake hit on March 11, 2011, I was at home in my apartment in Tokyo. The ground lurched, the walls shuddered and my CDs began flinging themselves from the shelves. Mercifully, that was the extent of the physical damage, but as the aftershocks and the drip, drip, drip of increasingly alarming news from farther north began to seep through, a feeling of disquiet began to set in — a feeling that what should be a place of comfort and security was now neither of those things. At that time, I was helping out a musician from overseas with a tour he was on, and what kept us going through that tense, fraught week was the knowledge that we would soon be lucky enough to escape it, even if just for a couple of days. The place that offered us a brief sanctuary that following weekend was the southern island of Kyushu, the sun-dappled streets of Fukuoka and Kumamoto allowing us to role-play normality for a while. “Do you get earthquakes here?” I asked a local. My friend and I let the tightness in our stomachs unwind. I was at a rock bar in Wakayama, listening to David Bowie’s “Heroes” when I heard that Kumamoto, my sanctuary of five years past, had been struck by a shallow magnitude-6.5 earthquake — far more devastating than anything I had experienced in Tokyo in 2011 — with more quakes following both there and in neighboring Oita Prefecture. So much of my life is wrapped up in music that I got most of my information about the earthquake from the social media networks of musicians I know. That’s not surprising, though, local music scenes tend to be very active in their communities. 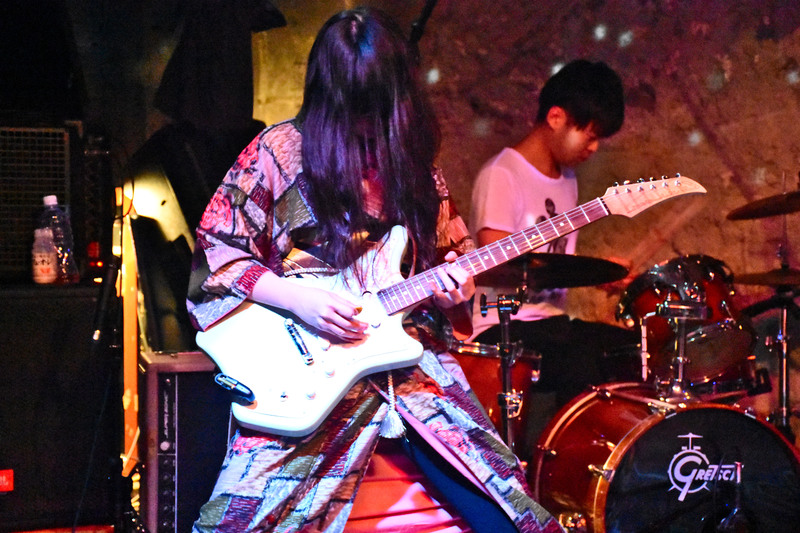 The networks initially evolved to disseminate information on indie gigs, and they’re extremely effective as the mass media tends to ignore such small scenes, especially when they’re far from Tokyo. In a similar way the media has concentrated its focus on Kumamoto with broad-strokes coverage and easy emotional narratives. But from what I’ve seen, those who have been affected by the earthquakes need practical information, and these indie social networks have stepped in to provide tips on where people can get food or water, or which shelters need local volunteers. The live venues and clubs that are the physical hubs for the music scene can also serve as a focus for the community’s relief efforts. When I was in Kumamoto in 2011, the concert venue Navaro had been part of my brief respite. Now it’s a center for the gathering of relief supplies to send out to those in need. 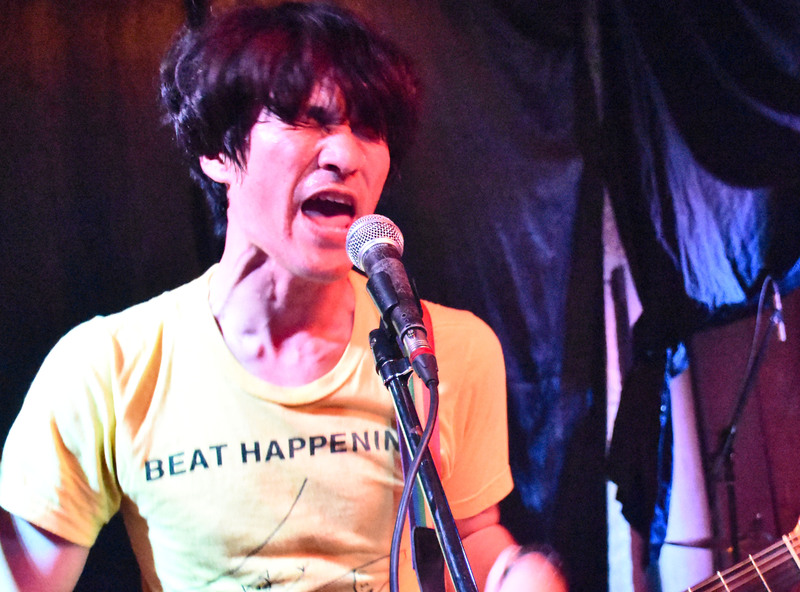 In Fukuoka, to the north, the club Kieth Flack and live venue Yojigen have been playing a similar role, while in Kagoshima, to the south, live venue Caparvo and rehearsal space Walk Inn Studio have been gathering huge amounts of supplies to send to victims. Social media is often accused of trivializing disaster (the “pray for” hashtag, Facebook’s flag overlays) turning expressions of concern and sympathy into the sort of narcissistic, performative acts that are their stock-in trade. As we saw in 2011, and as we’re seeing now, social media has its most profound effect when it can facilitate a direct link to something tangible in the real world. There is always a period after a disaster happens in which the narrow realm of music appears a frivolous concern, but there is also a natural urge in these kinds of situations to return to some sort of normality. In this case, music can have a valuable role to play in the healing process. Kyushu has been an important place to me over the years, and Kumamoto Navaro in particular has been the venue for some of my most thrilling and memorable musical experiences. 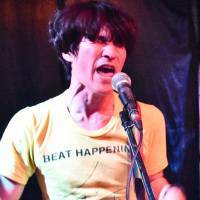 When the time comes for normality to return, I hope that people will continue to support performance venues in Kumamoto like Navaro and Django, and the nearby Rock Bar Days. When musicians from out of town are on tour in western Japan, I hope they will consider adding a date in Kumamoto to their itinerary. 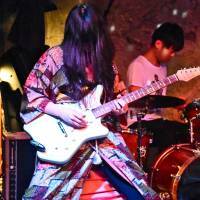 And finally, when excellent Kumamoto bands such as Doit Science, Ishiatamazizo, Kobayashi Dorori, Kartos and others are playing in your neighborhood, I hope you can check them out and give them your support.